In 1816 Methodism received a start in this area. Records show Rocheport as part of the Boonslick District in 1835 with Reverend Jesse Green Presiding Elder. The first religious organization in Rocheport was a prayer group composed of Methodist, Presbyterian, and Disciples of Christ. 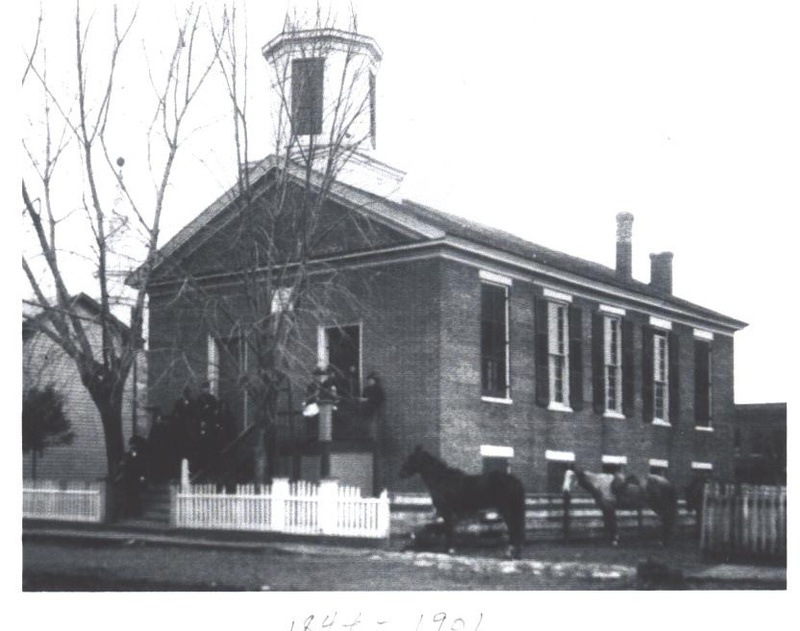 The first Rocheport Methodist Church building, built in 1844 and demolished in 1901. In 1843 with Jesse Green again Presiding Elder, and Walter Prescott pastor of Rocheport and Columbia, the building of the Rocheport Methodist Episcopal Church South was begun; being completed in 1844. Moses Payne, later known as Boone County’s “millionaire minister,” preached as a local and itinerant preacher, but his millions came from his business ability which he used to found schools, help widows, orphans and friends. The stained glass window of “The Silent Shepard” was given in his memory by his widow. 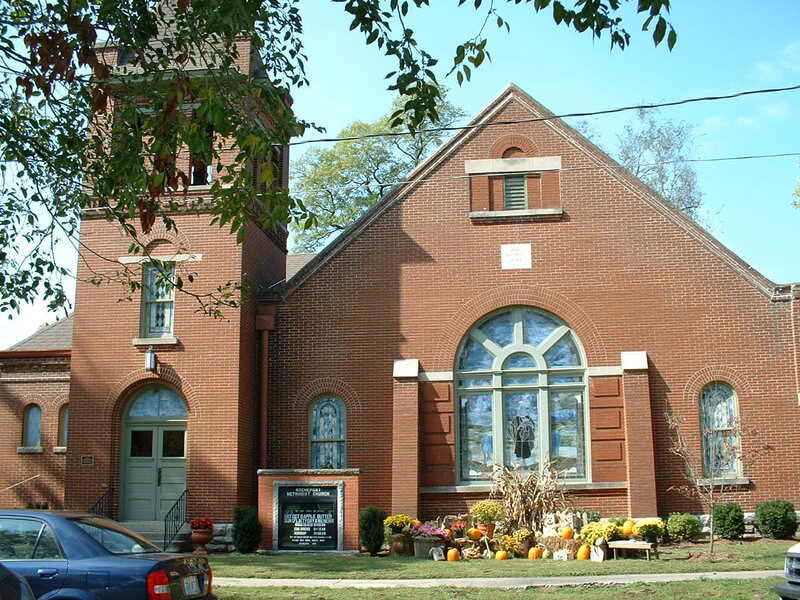 In 1858, the Rocheport Methodist church became the center of a group of churches making up the Rocheport circuit. In the 1870’s the circuit consisted of 5 churches, and for a short time 7. Current RUMC building, completed in 1901. In 1901 the old church was demolished and the present building erected. In June 1901, the corner stone was laid and the church was dedicated in November 1901. Rev. Willis Carlisle, pastor and Bishop H.C. Hendrix dedicated the building. Bricks from the old church, along with the old handmade pews were used and the original bell was installed. Mrs. Sarah Payne gave the stained glass window, “The Silent Shepherd,” which is on the east, or front of the church in memory of her husband Moses Payne. In 1944, RMC celebrated the centennial and in 1994 the 150th anniversary of the building of the first church. In 1976 the 75th anniversary and in 2001 the centennial of the present building were celebrated. An addition to the church was completed in 2010, containing a new kitchen, meeting space, and nursery. Over the years many traditions have come and gone (ice cream socials, auctions, etc.) and others have survived (Easter sunrise service, fellowship dinners) and new ones have been started (Valentine dinner, garage sale). 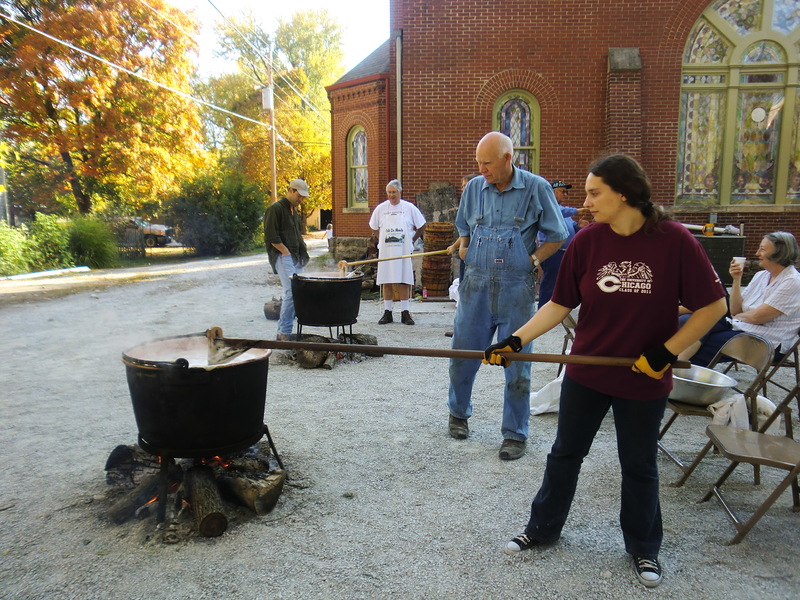 One church tradition, started around 1960 (the exact year is still hotly debated) has endured, the making of apple butter. This tradition was started by two families, the Wehmeyers and the Calvins. The Wehmeyers made the apple butter and Robert Calvin loved to eat it. 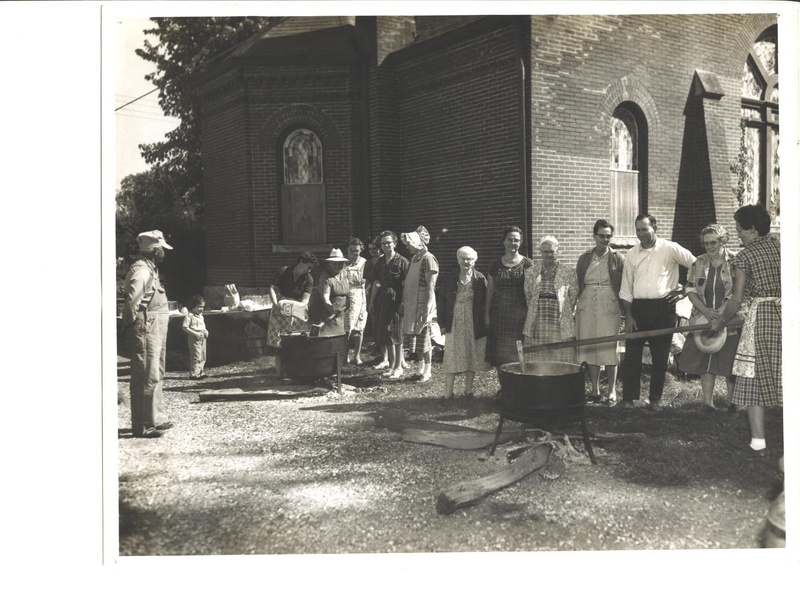 Every year the church had an auction and the Wehmeyers would donate a few jars of their homemade apple butter. The apple butter recipe came with their family when they came to America from Germany. It is made in large copper kettles, stirred constantly with large paddles and hand dipped into jars at the end of the day. Mr. Calvin complained that there was not enough apple butter to go around (and the price was too high) and suggested the church make its own as a fundraising project. The Wehmeyers loaned the church a kettle and the expertise and the tradition was begun. It has grown to four kettles and there is still not enough to go around. Apple butter day begins around 3:30 or 4:00 in the morning and if everything goes well, the apple butter is ready to jar by 3:00 or 4:00 that afternoon. Two of the Wehmeyer sisters (Vernetta & Berdina) still run the show with the help of family and church members.